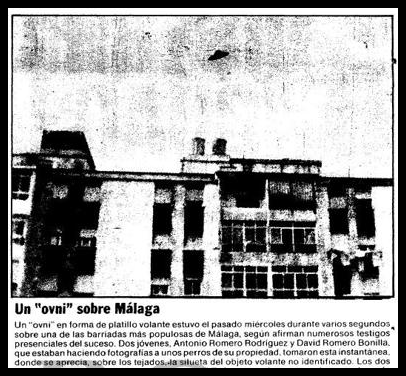 In 1984, the news media published the photograph taken by two young residents of Málaga, showing a strange flying object crossing the city's skies. The time was 11:30 a.m. on 18 January 1984 when two young people photographed a strange object flying over the Cadiz Highway near the San Carlos district. The photograph was published the next day in the news media - DIARIO SUR among them - accompanied by the following text: "Around 11:30 yesterday, an unidentified flying object flew above the Cadiz Highway for a very brief span of time, its maneuvers being witnessed by some thirty people from the San Carlos district." Among the eyewitnesses were Antonio Romero Rodriguez and David Romero Bonilla, who were taking photos on the street. Upon seeing the UFO, they did not hesitate to focus on it and take the shot. The ABC newspaper, echoing an EFE news wire, specifies that the young men were "taking photos of their dogs on the street". They explained that the object must have been very large, and that "after having been virtually suspended in the sky" it took off at high speed almost before they realized it. The witnesses stated that the alleged UFO vanished into the horizon behind the rooftops and was not seen again. Journalist Iker Jimenez mentions this strange case in his book Encuentros OVNI: La historia de los ovnis en España, where he says that the first to notice the strange object was a dog called Bobby, who began barking at the sky, drawing the two friends' attention, who were testing out a pocket camera one of them had purchased only days earlier. 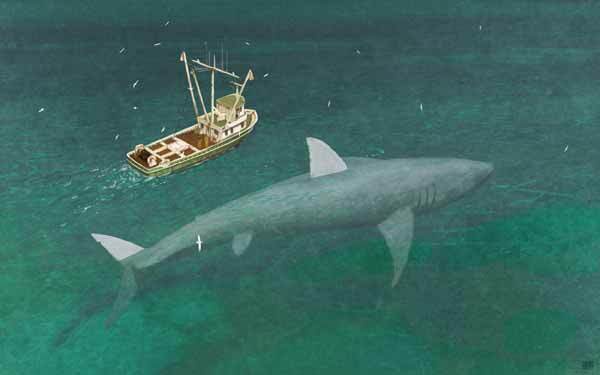 A shadow of doubt fell upon the case, and in subsequent days the photograph was called into question, suggesting that it could have been a hoax. Publicado por Terra Incognita en 12:55 p. m.